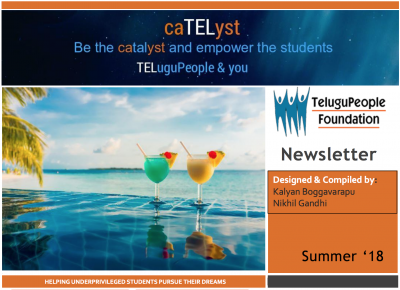 Here’s our Summer edition of caTELyst. It had been a busy quarter for us. We celebrated our 9th Year Anniversary on May 20th which was well received by the local supporters as well as the media. 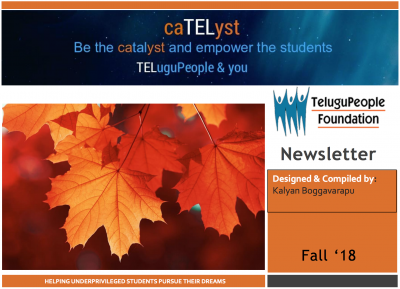 Dr. Akella shares her experience meeting one of our students, Lalitha (name changed to protect her privacy) in Hyderabad; and why her daughter donated to TPF on Mother’s Day. And her daughter’s donation was matched her employer, Apple, doubling the impact! Ms. Vavilala asked the guests to donate to TPF in lieu of gifts on her birthday and she shares with us her rationale behind such a mature action. 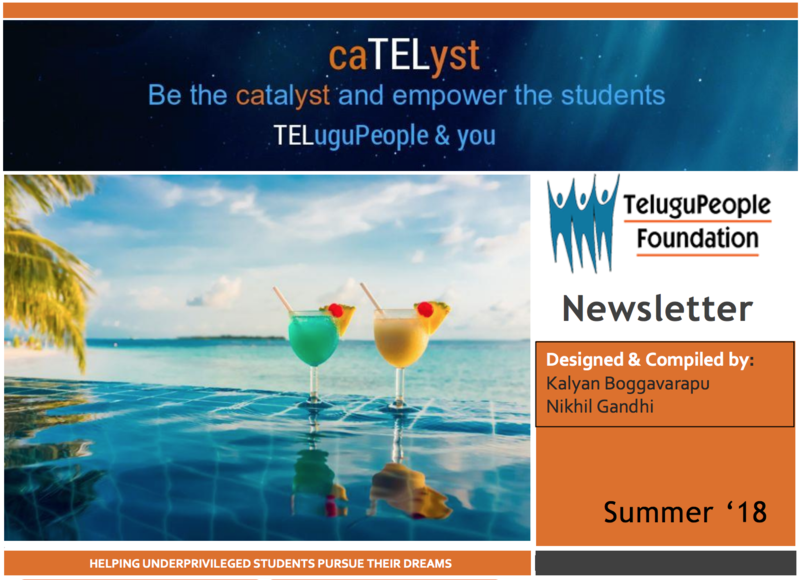 Please enjoy the caTELyst for (y)our achievements this part Quarter. You are all very welcome to contribute to our quarterly caTELyst.